Putin@war: (pro)Russians firing GRAD at a village? Now that the initial plan of the (pro)Russians failed (to make a Stalingrad out of Slovyansk)... and now that they are on the retreat... and now that they are getting desperate and need to give Russia an excuse to 'intervene'... and since we have already seen many similar examples... East-Ukraine has to brace itself for a lot more random death and destruction. My goal is to really nail at least one incident down, where we can see the (pro)Russian firing GRADs and also see the destruction they caused. Somewhere along the red line there would have been the location of the GRADs (red circles). 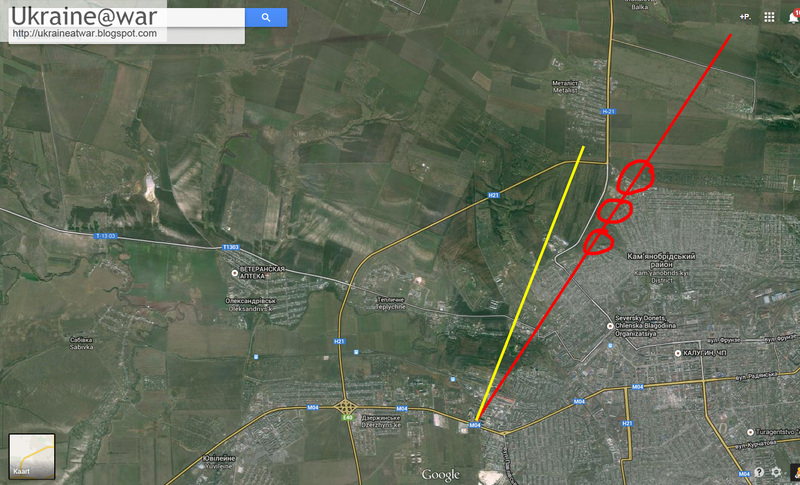 As can be seen the yellow line points directly towards the village Metalist. It means the rockets are not fired directly at Metalist, but go beyond it. 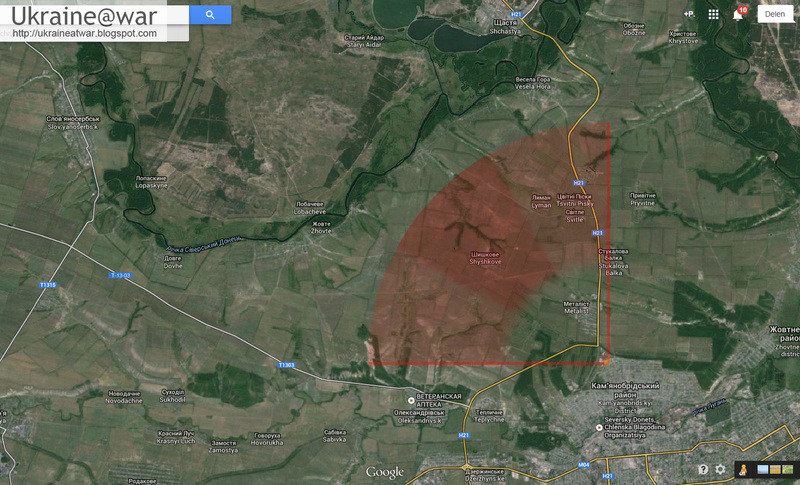 Yes, there may have been military targets in that area. But there is also a village Shyshkove exactly in the middle of it. At this moment we have not heard any news of this village being hit. But maybe somebody can go there and have a look? Maybe this incident has to do with it. A report about an air attack at Aleksandrovka Village, just West from Lugansk and in range of the GRAD if it would be firing more towards the cameraman. 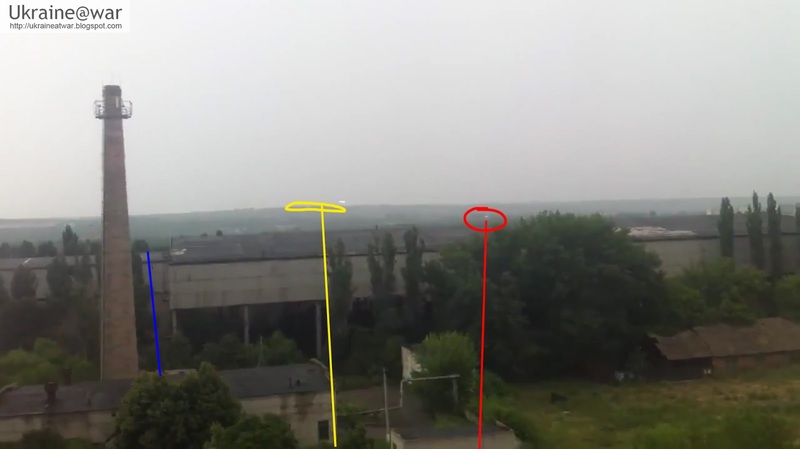 Here a video can be seen from a spotter directing fire near Aleksandrovka. They report to have destroyed three Ukrainian vehicles, but this is not confirmed. Since their firing goes into all kind of random directions, they may just have hit the village and reported this as an air attack by Ukraine. There's about a 7 second delay from seeing the first rocket to hearing it. Using a lightning rule of thumb of dividing by 5 to get the distance in miles puts the GRADs at around 1.4 miles, which is a lot closer than your possible locations. This brings your arc of targets further south, and I think puts Aleksandrovka within it? One can calculate the distance to firing position of GRADs. Time interval between flasz of igniting roket motor and the moment when the sound of shot comes is about 7 sec. 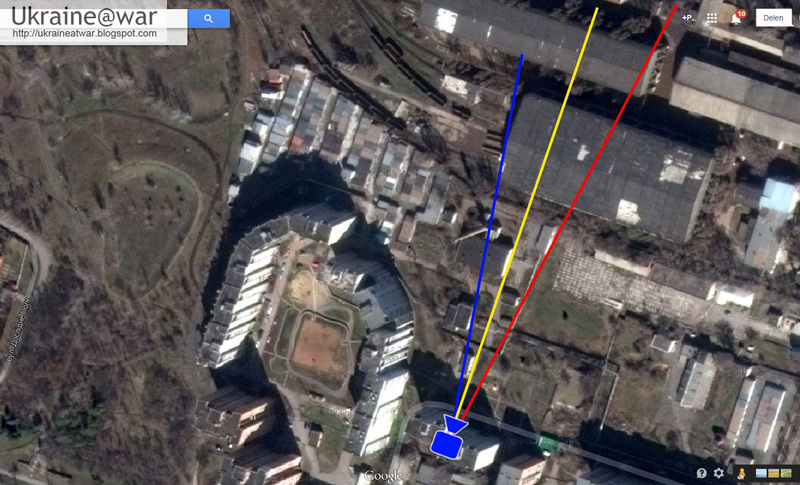 It gives the distance approximately 2.500 m.
So the position of MLRS coulld be located in the territory of abandoned military unit (48°34' 39°15'). Moreover, shell's roket motor stops working in 600 m from MLRS. Thus given observation angle distance it could be estimated an approximate azimuth of firing (342° 30'). Then one can measure approx. aiming angle (8° 36'). Knowing the value of aiming angle corresponding to maximum firing range (37° 12' and 20 km), it is possible to estimate actual distance to target (about 4.500 m). In such a distance and at such an azimuth from asumed firing position is located military unit A-0194. I have had an experience in artillery commanding, so risked to present my propositions, maybe it could be helpful. I will try to find time to translate soon.